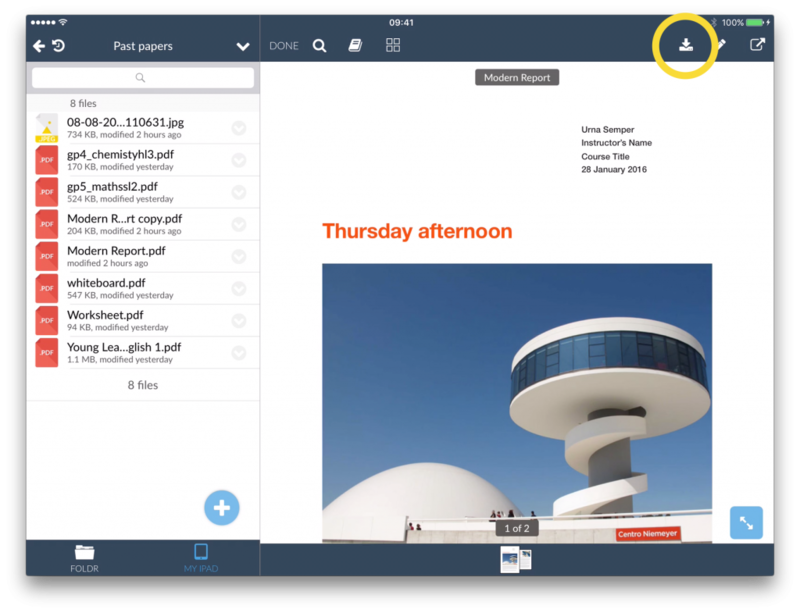 To save a file to your device, tap the file to preview it. Then tap the file download icon found at the top right of the screen . This will save a copy to the ‘My iPad’ (or My iPhone) tab and will be accessible offline. From here you can send the file to other apps for editing.